Every summer we seem to get a lot of questions on how best to deal with pesky crabgrass. It's bulky, green, and not very nice to look at, and can quickly overrun your yard and spread to flower beds and gardens if left to its own devices. Crabgrass loves hot, dry conditions and easily out-competes the desired turfgrass, even when the most diligent and preventative measures are taken. As quickly as crabgrass seems to appear out of nowhere, it disappears just as fast. A thief in the night! 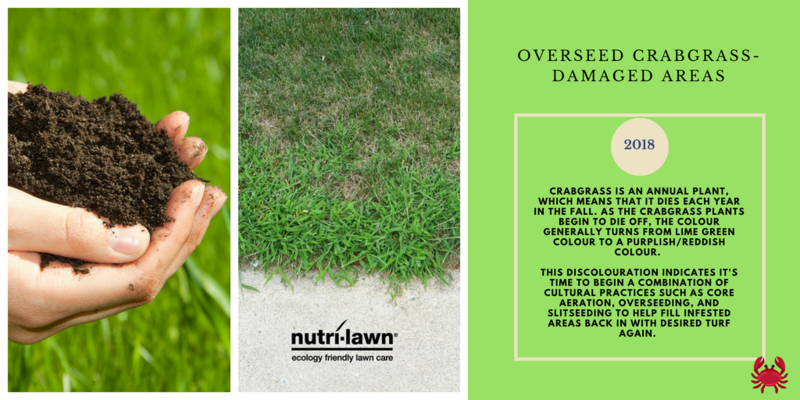 Are you noticing crabgrass on your beautiful lawns? If so, read our latest blog to learn more about it. Crabgrass is one of the most common grassy weeds that invades home lawns during the summer. It grows very low to the ground and stands out from the rest of the lawn with it's bright, lime green colour. 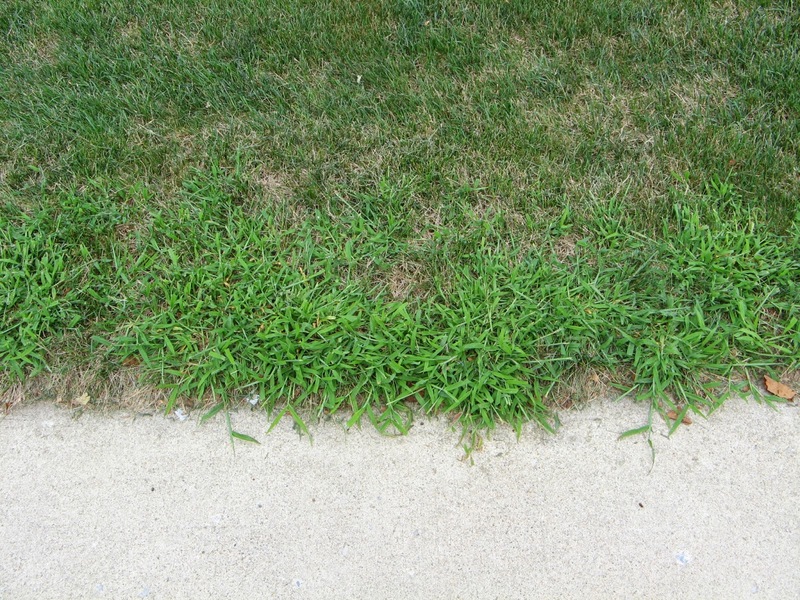 Crabgrass spreads rapidly and major infestations are common in areas of the lawn that are growing thinly, where exposed soil exists, and around and along driveway and sidewalk edges. Crabgrass can be rooted out by hand, though it's time consuming and will requires more than one session (and some potential sweat and tears). The best time to work on removing crabgrass is after a rain when the soil is softened and the roots can be pulled out more easily. The best way to deal with crabgrass is to have a thick, healthy lawn that doesn’t give the crabgrass a place to grow. Crabgrass will be less of a problem in a lawn that is thick and well maintained, that's for sure. Water your lawn properly to encourage deep roots and make sure you don’t cut your crass too short when mowing. If the grass is cut too short, the soil can dry out and give weeds like crabgrass a warm dry spot to grow and spread. Longer grass keeps the soil moist and cool and prevents the weeds from taking root. Sounds like a plan to me! Crabgrass is an annual plant, which means it dies each year in the fall. As the crabgrass plants begin to die off, the colour generally turns from lime green colour to a purplish/reddish colour. This discolouration indicates its time to begin a combination of cultural practices such as core aeration, overseeding, and slitseeding to help fill infested areas back in with desired turf again. 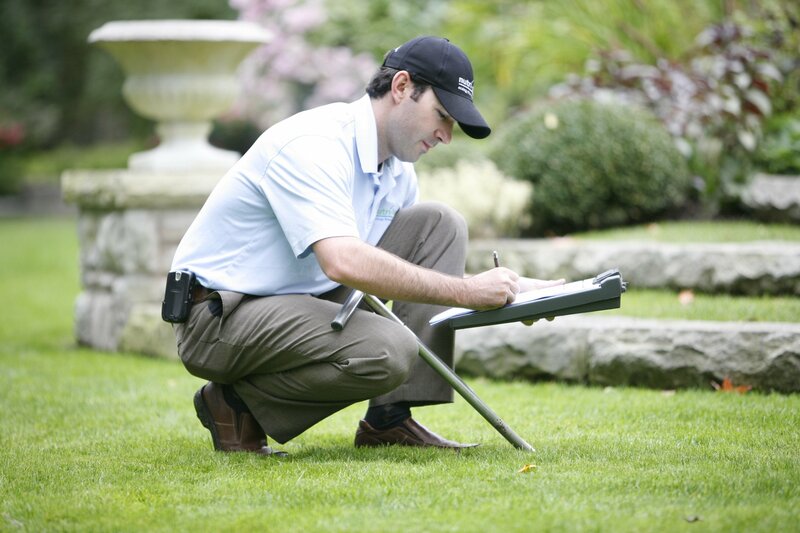 Follow us on Facebook or Pinterest for more from lawncare tips & tricks.